Nickelback have faced more than their fair share of criticism over the years - sometimes in weird and wonderful forms. They've been sought by Australian police for 'crimes against music', compared to an STD by Arnold Schwarzenegger and had their music treated as potential 'punishment' for drunk drivers in Canada. But now they've come up against their fiercest enemy yet: the U.S. Army. Well, sort of. Their music has been banned from being played in a military Command Post in Washington State, alongside that of Slipknot, Korn, Creed and Smash Mouth (wanna listen to 'All Star' on the front line? too bad!). The following official memo on 'Terrible rock groups' was originally shared via the U.S. Army WTF! Moments Facebook page. A spokesperson for U.S. Army WTF! Moments confirmed that the memo is real, but that "it was likely a joke or a prank [the officer] played on one of the platoons under his command." Chad, what do you think of that? The finger wag says it all. 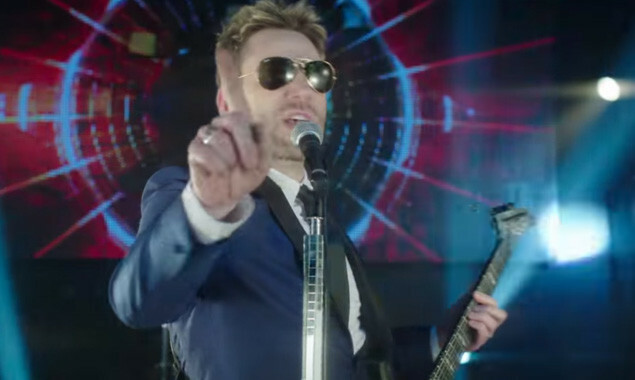 Nickelback's new album, 'Feed The Machine' out June 09 via BMG.